LPN is excited to announce our next Networking Mixer + Success Building Series! Expect to make new friends, to foster new business connections and to get inspired. 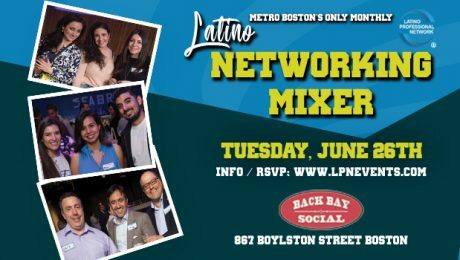 We’ll have complimentary appetizers and continue with our Conexion Speed Networking, every 10 minutes meet another great person in the room. This event is free, however you MUST RSVP. Jeff DeSocio: Mass Professional Networking Organizer and expert networker, he will give you some tips and tricks on becoming a better communicator and networker. Bonus.. Expect to use what you learn when we do our Speed Networking.